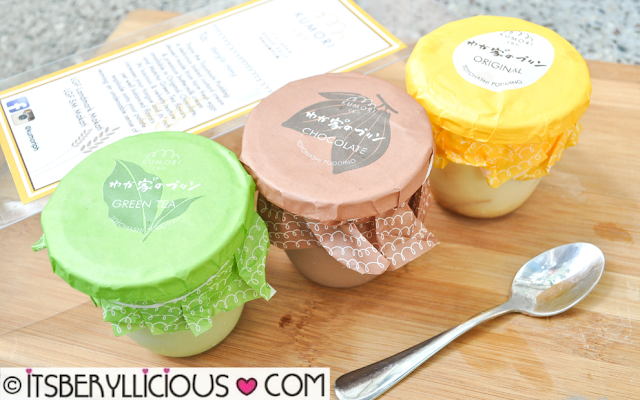 After their much raved Hanjuku Cheesecake, Kumori Japanese Bakery now comes with another bestselling product- the Toyohashi Pudding. A delicious baked custard cream dessert made from farm fresh eggs and premium buttermilk cream available in 3 delicious flavors: Original, Chocolate and Matcha Green Tea. 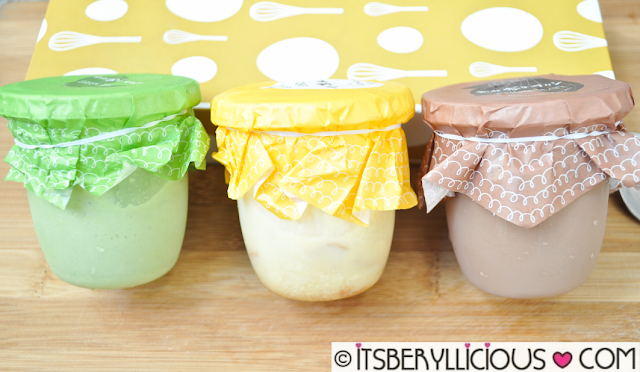 The puddings are contained in plastic jars with covers and proper labels, perfect as an on-the-go snack. Smooth and velvety pudding in sweet caramel syrup. 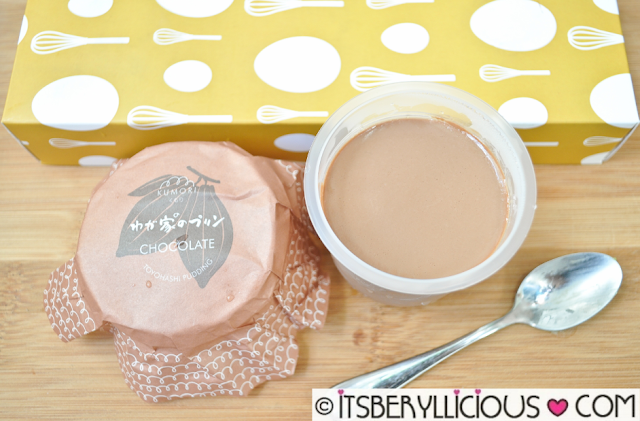 Kumori's take on the classic custard made with eggs, cream and caramel. Sweet, milky and creamy that resembles that of our local leche flan. It is my favorite among the three flavors. Simple and classic! 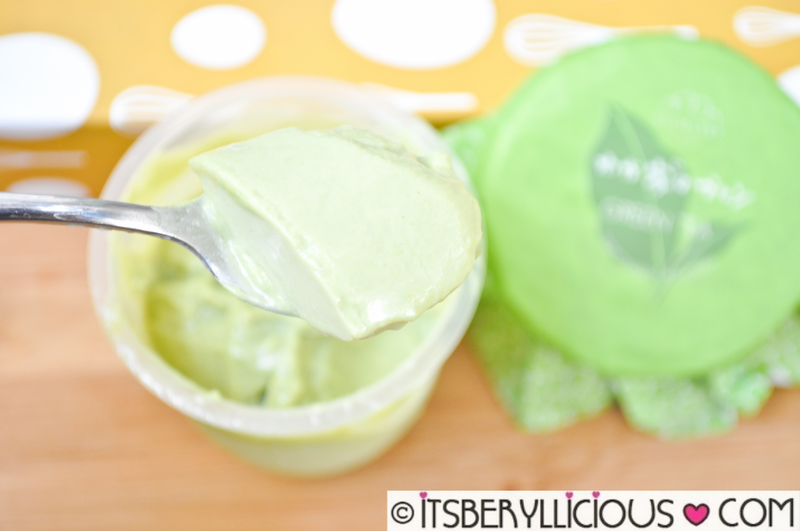 Being a green tea lover, this pudding did not disappoint with its creamy and delicate matcha flavor. Although the green tea flavor was not as strong as I expected it to be, every spoonful gives a nice balance of milk and matcha goodness. Rich and creamy chocolate pudding that's smooth in texture, and bittersweet in taste. A melt-in-your-mouth chocolate experience in a cup!